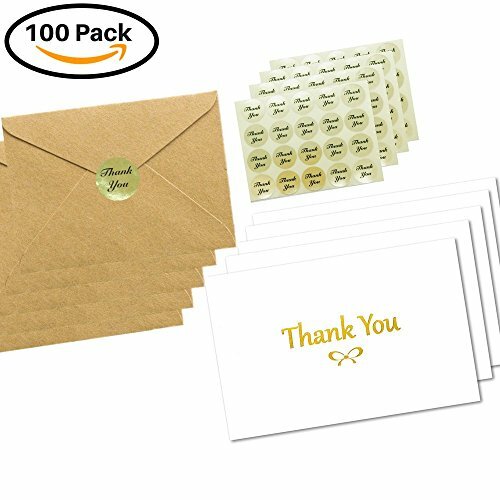 ❤ 100 CARDS + 100 KRAFT ENVELOPES + 100 GOLD STICKERS: All envelopes are with moisture-activated gummed closure. Includes FREE fancy gold stickers with each envelope to ensure secure seal. With a sturdy cardboard box and store them easily. 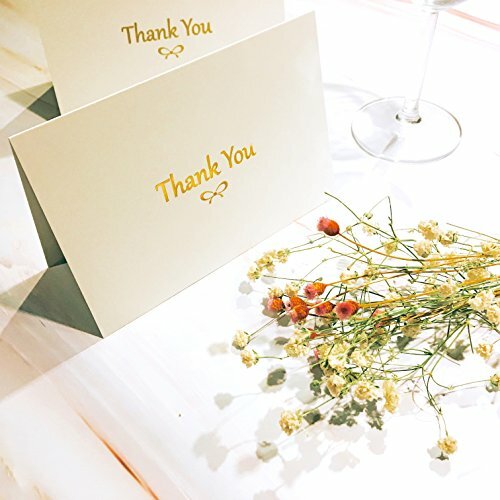 ❤ ELEGANT DESIGNS: Minimalist design with gold foil letterings to express your heartfelt gratitude. ❤ SUPERIOR QUALITY CARDS STOCK: 4 x 6 inches cards are made from heavy duty, 310 gsm high-quality card paper with matte finish. Contains 100 bulk blank thank you cards to include your personal, customized message. The card is designed with luxury and unique style and each card is printed on high-quality paper with 310 gsm. Includes 100 corresponding envelopes and gold stickers packed in a sturdy box for easy storage. Winoo thank you notes are perfect for multiple occasions, and can be also used as memorial, funeral, sympathy, or bereavement note cards. 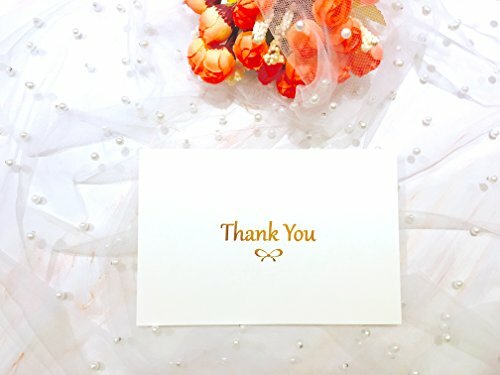 This pack of small cute thank-you cards are ideal for men, women, teens, kids, baby boy, baby girl, bridesmaids, teacher, employee, employer, friends, family, and clients appreciation moments. ❤ SUITS ALL OCCASIONS: You can express your thank you appreciation in any occasions. Perfect for your wedding, baby shower, business, graduation, bridal shower, birthday, engagement, anniversary celebration, parties, and Christmas. ❤ VALUE PACK: Get 100 greeting cards at a value price. Make sure to always have some on hand, and you will always be ready with your best greetings.